The Hidden Message in L. Ron Hubbard's "Study Tech"
In July 1997, the Los Angeles Unified School District considered an application by public school teacher Linda Smith to establish a new charter school. 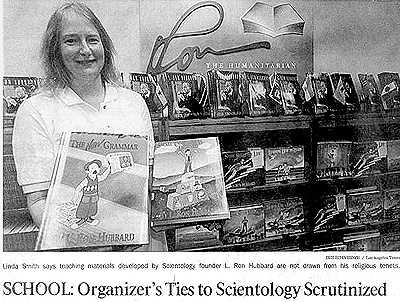 When questioned, Smith admitted that she and her two partners were Scientologists, and that the plans for their school included some unusual educational materials called "Study Technology." This attracted the attention of the press and the story was broken by Duke Helfand of the Los Angeles Times in an article on July 27, 1997. Also that month, the California state Department of Education gave preliminary approval for five volumes in the Study Technology series to be used as supplemental textbooks, meaning they could be purchased with taxpayer funds and used by schools throughout the state. (See second Helfand article, LA Times, July 29, 1997.) The LA Times articles sparked an immediate controversy, as a result of which Linda Smith's application was turned down and permission to use the Study Technology books as supplemental textbooks was withdrawn. A previous attempt to insinuate Study Tech into California's public schools had been rebuffed 17 years ago for similar reasons (Myslinksi, 1980). The Californian controvery centered around the key issues of what Study Technology is and what it does. It is based on the teachings of the late L. Ron Hubbard, sometime science fiction writer and founder of the Church of Scientology, a reincarnation/psychotherapy group that many see as a cult. Its curious name reflects one of Hubbard's most frequent quirks or marketing gimmicks: he would customarily label his religious doctrines as "technologies". Study Technology is often abbreviated to "Study Tech. ", it forms part of a much larger body of material Scientologists simply call "the tech". The Study Tech books fall into two groups. The first three, the Basic Study Manual, Study Skills for Life, and Learning How to Learn, cover Study Technology proper, but are targeted at different grade levels. These three books are the primary focus of this essay. The remaining two titles, How to Use a Dictionary, and Grammar and Communication for Children, are unremarkable introductions to grammar and punctuation that show only a few tiny traces of Hubbard's influence. The Study Technology is also used in other Scientology-related "social reform" programs, notably the Narconon and Criminon drug and criminal rehabilitation programs. There, it is delivered in the form of a "Learning Improvement Course" utilizing a very similar set of course materials. All five books (plus their Narconon and Criminon variants) are published by Bridge Publications, the in-house publishing arm of the Church of Scientology. They are distributed by a Los Angeles-based non-profit organization called Applied Scholastics International (ASI). ASI is a subordinate organization of the Association for Better Living and Education International (ABLE). This is in turn a subordinate, and an integral part, of the Church of Scientology, which exercises direct overall control of all of the aforementioned organizations. (Recently Scientology also began distributing the books through another front organization, Effective Education Publishing.) This complicated set of relationships, discussed in more detail later in this essay, is seemingly designed to obscure the central role of the Church of Scientology in the promotion and implementation of Study Technology. This raises the question of whether the proponents of Study Technology are attempting to use public funds for covert religious instruction. The Study Technology's supporters insist that the books are non-religious in nature.When the issue was raised in California, the Department of Education said that a committee that examined the Study Tech books could find no references to Scientology (Helfand, 1997b). It's true that the word "Scientology" does not occur in any of these volumes. But Scientology jargon and religious beliefs appear throughout the three study skills books; they are inseparable from Study Tech. Study Tech is founded on three principles: (1) use pictures and diagrams to illustrate the concepts being taught, (2) break down complex concepts so they can be mastered in a series of simple steps, and (3) always seek definitions for unfamiliar terms. These rules make sense and are harmless enough when phrased in plain English. But the Study Tech books present them in a different manner. The three principles are called "mass", "gradients", and "misunderstoods": terms that were invented or redefined by Hubbard and loaded with significance in the Scientology religion. These concepts are presented in a doctrinaire manner that is also characteristic of Scientology religious instruction. Study Tech actually helps lay the groundwork for introducing Scientology doctrines into secular education. These three principles of Study Tech are laid out in a document known as HCO Bulletin of 25 June 1971 (revised 25 November 1974), "Barriers to Study". The HCO, or Hubbard Communications Office, was a division of the Church of Scientology which for many years served as the personal secretariat of L. Ron Hubbard. Its main output was a constant stream of Policy Letters (Scientology management policy) and Bulletins (religious doctrines, commonly referred to as "the tech[nology]" of Scientology). Study Tech is laid out in a series of HCO Bulletins mostly issued during the 1970s, which are today collected in a set of volumes entitled The Technical Bulletins of Dianetics and Scientology, known informally as the "tech volumes" or the "red volumes" since they are printed in red ink. According to the Church of Scientology, these works comprise a major element of Scientology's religious scripture. The source of the Study Tech doctrines is discussed in greater detail later in this essay, under "Where Does Study Tech Come From?" The HCO Bulletins on Study Technology are also reprinted in various Scientology course packs, such as The Student Hat, that are sold as entry-level "religious services" (courses offered for a fee). A disclaimer at the front of each volume and each course pack, including those containing the Study Tech bulletins, states: "This book is part of the religious literature and works of the Scientology Founder, L. Ron Hubbard." The Student Hat course is compulsory for all Scientologists. Before they can cross the Scientology "Bridge to Total Freedom", they are required to "learn how to learn". The same rule applies to all, no matter how literate they may be -- a sign that something more is going on than mere learning. A summary of the "Barriers to Study" is also included in the Scientology Handbook. b. THE MEANING OF "MASS"
In other words, mass is what can be visualized. But Hubbard's pronouncement that learning cannot take place without visual aids goes too far. Must every sentence of every book be accompanied by a picture? Does a book on political theory, quantum physics, or the life of Shakespeare require a picture to illustrate each concept? Of course not. Hubbard's Study Tech books claim that several "nonoptimum physical reactions" are associated with "absence of mass". When students experience these symptoms, they are immediately interpreted by Scientologist teachers as being the result of learning difficulties -- a most dubious proposition. Hubbard was fond of making this sort of bold assertion, wholly unsupported or even opposed by hard evidence. We will return to the issue of Study Tech's dubious physiological claims later. Gradient: a gradual approach to something, taken step by step, level by level, each step or level being, of itself, easily surmountable -- so that, finally, quite complicated and difficult activities or high states of being can be achieved with relative ease. This principle is applied to both Scientology processing and training. There is nothing objectionable in the notion that complex ideas should be mastered by breaking them down into simpler steps done in a logical order. But Study Tech turns this sensible advice into rigid dogma, with a warning that violations can have unpleasant consequences. "If you have skipped a gradient you may feel a sort of confusion or reeling" (Learning How to Learn, p. 84.) The illustrations of this idea on pp. 84-85 show a boy who was trying to build a doghouse "seeing stars" as if he just got whacked in the head with one of the boards he was hammering. Within Scientology, the gradient doctrine is an important tool for c ontrolling the flow of information. It discourages beginning students from looking too closely into Scientology's claims. Students are told to accept things on trust and to wait until they are deemed ready for the facts. This is the bait used to attract many a new member. Scientology evidently takes the view -- probably correctly -- that its more esoteric beliefs, centering on hostile space aliens, would frighten off new members if mentioned early on. Adherents are instead inducted slowly into the secrets of Scientology, learning stage by stage through the use of Study Tech, following the "gradient" laid out for them by the Church. As was demonstrated by Monsieur Mangetout, the Frenchman who ate a bicycle, even a large indigestible mass can be consumed if it is eaten in bite-sized chunks. Being "out-gradient" is actually considered an ethical violation in Scientology, because it is "out-tech", or contrary to Hubbard's teachings about how one should study. But if a beginning student does encounter some of Hubbard's more outlandish writings, the gradient concept offers a way for them to avoid acknowledging the absurdity. Consider two remarkable claims in Hubbard's 1953 book Scientology: A History of Man: that human beings evolved from clams who were preyed upon by birds (p. 53), and that the spirits of most humans go to Mars for reprogramming when their bodies die (p. 116). Rather than trying to defend such improbable ideas when low-level Scientologists or members of the public ask about them, the response of Scientology officials is that History of Man is an "advanced" text -- too steep a gradient for non-believers or beginning Scientologists to deal with -- which conveniently rules out any possibility of debating the book on its merits. The questioner is then directed toward entry-level courses so that he or she can learn be properly conditioned before being exposed to this "advanced" material. For example, Scientology professes its compatability with and respect for other belief systems. The general public and novice Scientologists are told that Scientology is compatible with all other religions (see What is Scientology?, 1992 edition, p. 545), and the Church of Scientology often professes mutual respect when campaigning alongside faith groups. The picture from the far side of "The Bridge" is very different. Scientologists who have completed the Church's highest-level and most secret courses will have learned from Hubbard that God was essentially an evil "Big Thetan" presiding over a deserted and run-down heaven, that Christianity was "implanted" by a race of alien invaders 2,000 years ago, that the Ka'aba in Mecca was the unconscious imitation by the Prophet Mohammed of an alien implant mechanism called the "Emanator", and that Hinduism's doctrines are "very treacherous" (Hubbard, "Heaven," HCO Bulletin of 11 May 1963; "Assists," Class VIII Course lecture #10; "Philadelphia Doctorate Course lecture #14"). The third principle of Study Tech centers on the concept of misunderstood words. They're called "misunderstoods" in the books, and abbreviated as M/U or Mis-U in Scientology. Misunderstoods can be "cleared" by looking up the word in a dictionary. This is fine as far as it goes; students should certainly learn to use a dictionary. But according to Hubbard, misunderstood words are not a minor problem; they are in fact "the most important barrier to study" (Learning How to Learn, p. 101; Basic Study Manual, p. 49), and "the only reason a person would stop studying or get confused or not be able to learn" (Learning How to Learn, p. 114; Basic Study Manual, preface). In fact, "THE ONLY REASON A PERSON GIVES UP A STUDY OR BECOMES CONFUSED OR UNABLE TO LEARN IS BECAUSE HE HAS GONE PAST A WORD THAT WAS NOT UNDERSTOOD" (How to Use a Dictionary, p. 282; capitalization as in the original.) This sentence also appears in the frontmatter of all Scientology religious volumes. According to the Study Tech materials, a single misunderstood word can cause a person to not remember anything on the page they just read, or make them want to stop studying the subject altogether (Learning How to Learn, p. 116; Basic Study Manual, pp. 58-59). The books also teach that misunderstood words cause physical symptoms: feeling blank, tired, worried, upset, "like you are not there", or suffering "a sort of nervous hysteria" (Learning How to Learn, pp. 110-112; Basic Study Manual, pp. 50-52.) The reason for these symptoms is not explained but the answer lies in other Scientology doctrines not included in the "secularized" version of Study Tech (more on this later). Hubbard's obsession with misunderstood words leads to a number of uniquely Scientological practices, such as a fondness for dictionaries. Several large dictionaries are found in all Scientology churches. Hubbard's religious writings forbid the use of pocket dictionaries, which he dubbed "dinky dictionaries", because of the inferior quality of their definitions (HCO Bulletin of 19 June 1972 revised 3 June 1986, "Dinky Dictionaries", and HCO Bulletin of 13 February 1981, revised 25 July 1987, "Dictionaries".) Scientology also publishes several dictionaries of its own extensive jargon, including the Basic Dictionary of Dianetics and Scientology, the much more comprehensive Dianetics and Scientology Technical Dictionary (known as the "tech dictionary"), and Modern Management Technology Defined: Hubbard Dictionary of Administration and Management (the "admin dictionary"). As many as 3,000 terms, many of them being neologisms coined by Hubbard himself, are said to be defined in the Scientology dictionaries. Yawning may occur for reasons quite unrelated to the task at hand. Even now, scientists do not know for certain why humans and animals yawn, demonstrating the arbitrary and unscientific nature of Hubbard's insistence that "misunderstoods" are the root cause. And there are many other factors besides misunderstood words that can cause lack of comprehension. The material itself could have problems. Bad grammar, faulty logic, disorganized exposition, and obviously false factual statements are examples. Why place all the emphasis on just one possible source of confusion? Study Tech thus provides a convenient blame mechanism. If a concept is not understood, it is always the fault of the student, never the fault of the teacher or source material. Study Tech's focus on misunderstood words is not just some arbitrary bit of educational dogma. It is an intentional and effective device for suppressing critical thought. In effect, it atomizes language, divorcing words from concepts. The same words might appear in a Shakespearean sonnet or an L. Ron Hubbard bulletin but their collective meaning might be very different. The words themselves may be perfectly comprehensible but their meaning may not be. The context is stripped away, leaving the words to be studied in isolation. But a student cannot ascertain context from isolated words, any more than she could ascertain the design of a house from individual bricks. The most outlandish concepts can thereby be presented in a way that compels word-by-word acceptance. The fundamental tenet of Hubbard's "study tech" is that ANY disagreement with the subject matter being studied, ANY inability to apply the materials, and any non-comprehension of the materials stems ONLY from "misunderstood words" in the "Source" materials. With this mechanism, Hubbard made his "source" materials infalliable. In the Scientology "study tech" mindset, there can be NO dissent with Hubbard's utterances and ANY difficulty the student is having with the subject or the organization stems ONLY from misunderstood words he went past. Using Hubbard's notion of the "misunderstood word", one could introduce a "Source" textbook on geology, written by the President of the Flat Earth Society and have every student who disagreed with the materials look up all the "misunderstood words" they went past, until harmony with the Source material was in place. Harrington's characterization seems accurate. When one of us (DST) asked Heidrun Beer, at the time a devoted Scientologist, what she would do if she found a Hubbard policy she could not agree with, her reply was: "I'd go back and find my misunderstood word." Beer has since broken with the Church. Worse still, it is implied that misunderstanding (and by extension, disagreement) is the root cause of anti-social behavior and illness. The Basic Study Manual claims that a student trapped in an M/U will go out and "commit harmful acts against the more general area." (This is accompanied by a picture of a student vandalizing a restroom). "This is followed by various mental and physical conditions and by various complaints, faultfinding and look-what-you-did-to-me" (Basic Study Manual). Disagreement and incomprehension is thus equated with anti-social behavior. This equation is not unique to Scientology or indeed to religion; it is a common aspect of many authoritarian societies, where failure to conform to the approved ideology is commonly attributed to the dissident being "anti-social". Scientology is an unusually authoritarian belief system. Hubbard prohibited absolutely any deviation from his ideological standards and severely punished any attempts to alter or build on his work. Much of the extensive list of disciplinary offences listed in his rigorous system of "Scientology Ethics" relates to ideological deviation or dissension, banning both completely. This means that, unlike mainstream belief systems, Scientology has an absolute prohibition on critical interpretation (exegesis) of its core texts; it calls such expression "verbal tech". There are no Scientology theologians save the now deceased Hubbard, nor can there be -- it is an authoritarian, ideologically rigid and ultimately intellectually sterile philosophy. Study Tech reinforces Hubbard's demand that his idea not be re-interpreted, or even debated. He explicitly puts the emphasis on rote learning -- or "duplication" in Scientology jargon -- rather than critical interpretation: "A misunderstood word keeps a person from duplicating what the written materials actually say" (Hubbard, "Method 9 Word Clearing The Right Way," HCO Bulletin of 30 January 1973 revised 19 December 1979). There is no field in all the society where false data is not rampant. "Experts," "advisers," "friends," "families," seldom go and look at the basic texts on subjects, even when these are known to exist, but indulge in all manner of interpretations and even outright lies to seem wise or expert. Where a subject, such as art, contains innumerable authorities and voluminous opinions you may find that any and all textbooks under that heading reek with false data. The validity of texts is an important factor in study. Therefore it is important that any Supervisor or teacher seeking to strip off false data must utilize basic workable texts. These are most often found to have been written by the original discoverer of the subject and when in doubt, avoid texts which are interpretations of somebody else's work. In short, choose only textual material which is closest to the basic facts of the subject and avoid those which embroider upon them. Man's texts and education systems are strewn with false data. These false data effectively block someone's understanding of the true data. The handling given in this HCOB/PL makes it possible to remove that block and enable people to learn data so they can apply it. A strict Hubbardian line on "false data stripping" would cut a swathe through learning. Anything that contradicted the theories of L. Ron Hubbard, or was singled out by him for condemnation, would automatically be regarded as "false." This would include anything to do with psychiatry and psychology, much medical knowledge, anything to do with evolution ("man from mud theory" as Hubbard put it), cosmology, atomic physics, economics, educational methods, aspects of biology and so on. In short, it is very much like the sort of line that a conservative religious fundamentalist concerned with Biblical purity would take; creationists also try to get schools to engage in "false data stripping" by dropping or downplaying evolutionary theory. In denigrating the usefulness of derivative works, Hubbard overlooks or ignores the fact that knowledge does not simply appear from nowhere. There are surprisingly few completely original discoveries. Virtually every aspect of knowledge is developed over time by re-examining and building on the work of others. As Sir Isaac Newton, himself no slouch at discovery, once said, "If I have seen further, it is by standing on the shoulders of giants." If Hubbard had been more self-reflective or honest he would have acknowledged that he too owed considerable debts to intellectual predecessors. The Study Tech, for instance, owes much to the ideas of Alfred Korzybyski. In the early days of Scientology, Hubbard credited him along with an eclectic variety of other sages. But by the time the contents of the Basic Study Manual were written, Hubbard had decided that Scientology was entirely the fruit of his own inspiration and owed nothing significant to anyone else. His hostility to critical analysis and development was a notable illustration of his authoritarian and dogmatic approach to knowledge. The remedy for misunderstood words is "word clearing". Study Skills for Life (pp. 66-74) includes a simplified treatment of word clearing, using a six-step procedure that begins with looking up the word in a dictionary and using each of its definitions in several example sentences. The student then reviews the derivation of the word, and studies any idioms associated with it. Finally he reviews any additional information provided in the dictionary, such as usage notes or synonyms. The more comprehensive Basic Study Manual describes three separate techniques for "word clearing". They are called Method 3, Method 9, and Method 7, in that peculiar order. Method 3 Word Clearing is to be used when the student is showing a lack of enthusiasm, is yawning, doodling, daydreaming, or otherwise failing to make progress. The student is instructed to go back over the material he's been reading until he finds the misunderstood word. Good Word Clearing is a system of backtracking. You have to look earlier than the point where the student became dull or confused and you'll find that there's a word that he doesn't understand somewhere before the trouble started. If he doesn't brighten up when the word is found and cleared, there will be a misunderstood word even before that one. No doubts about the effectiveness of Hubbard's methods are permitted. One must simply apply them until they work. In the second approach, Method 9 Word Clearing, the student reads aloud to a partner, the "word clearer", who watches for stumbling points. Any hesitation, mispronunciation, or fidgeting is taken as evidence of a misunderstood word. The word clearer must interrupt the student and get him to go back and find this word, which is then cleared by looking it up in a dictionary, verbally paraphrasing each of the definitions to the word clearer, and then using the word in several sentences. In an example given in the Basic Study Manual (pp. 188-195), the student reads "The quick brown fox jumped over the lazy fence", but the last word was supposed to be "dog". The word clearer points out the error, and the student goes back and discovers that it is the word "lazy" that she does not understand. After reviewing the dictionary definition, she is able to read the sentence correctly. Later, the two persons switch roles, and when the former word clearer (now in the role of student) reads the same sentence, it comes out "The quick brown fox jumpled..." This mispronunciation is caught and discovered to be due to a lack of understanding of the word "quick", so the dictionary is brought out again. It's hard to take these idiotic examples seriously, or imagine anyone wanting to subject themselves to such a tedious procedure every time they yawn or make a slip of the tongue. But this is what Scientology says one must do to overcome "the most important barrier to study". And this is what the Study Tech books teach. Method 7 Word Clearing is intended for "children, foreign language persons, or semiliterates" (Basic Study Manual, p. 199), and also involves reading aloud. The word clearer follows along in his own copy of the text, and checks for omitted or misread words, hesitations, or frowns. When one of these signs occurs, the word clearer identifies the misunderstood word and looks it up for the student in a dictionary, or simply explains it to him. Method 7 is intended to be used when the student lacks the ability to look up words for himself. The origin of this peculiar numbering system is revealed in the section of this essay entitled "Word Clearing as Religious Ritual". All three Study Tech books also include sections on "demo kits" and "clay tables" as a means of "getting the mass" of the ideas the student is studying. A demo kit is a collection of odds and ends, such as rubber bands, paperclips, corks, pen tops, thumbtacks, erasers, etc. The student is supposed to "demo" a concept by choosing several objects, assigning them significance, and verbalizing or physically demonstrating the relationships between them. The key represents the student and he is reading a page which is this rubber band, and he goes past a misunderstood word, shown by a paper clip. When he gets here to the bottom of the page, he will feel blank because of the misunderstood word he didn't look up. Right! That makes sense! The clay table is a more elaborate model-making practice, unique to Scientology. Once again, the instructions for this activity come directly from Scientology scripture, such as HCO Bulletin 11 October 1967, "Clay Table Training". Students construct a "clay demo" of a concept by modeling its components in clay and assigning a paper label to each. The instructor is supposed to be able to infer the concept by viewing the completed clay demo scene. An example given in the Study Tech books is a clay demo of a pencil: the labeled parts are a thin cylinder with a point on one end labeled "lead", another cylinder wapped around it labeled "wood", and a blob at the end opposite the point labeled "rubber". The books go on to show how thoughts can be represented in clay. One makes a human figure (with a label saying "person"), and then makes a sort of clay lariat coming out of its head. The loop of the lariat lies on the table, and within the loop one puts a model of the thing being thought about. For example, a person thinking of a ball would be modeled as a human figure labeled "person", a lariat labeled "thought" coming out of its head, and a ball of clay labeled "ball" sitting within the loop of the lariat (Basic Study Manual, p. 145; Study Skills for Life, p. 92). Whether religious or not, the use of a clay table is a clearly a simple-minded approach to understanding abstract concepts. Rather than promoting understanding, it seems much more likely that clay tables work -- assuming that they work at all -- as a visual memory aid. For instance, when discussing the composition of a water molecule, one could either describe it verbally as "two hydrogen atoms attached to one oxygen atom" or visually as two similarly-colored blobs of Play-Doh stuck onto one differently-colored blob. Humans are naturally very visually-oriented creatures -- we had art long before we had writing -- so it is not surprising that we often find images easier to recall than words. That is fine if the only goal is the accurate recitation of rote-learned facts. This is, in fact, the only goal that Hubbard was interested in with his Scientology students. But it is useless in developing the critical skills that are so necessary in the non-Scientology world, and that Hubbard was so conspicuously uninterested in encouraging. Applied Scholastics and its associated organizations are strangely tongue-tied about the man who invented Study Technology. L. Ron Hubbard is invariably described as an "author and humanitarian", with no mention that he was an author of pulp science fiction, and that his "humanitarian" work consisted of his 36 years as leader and guru of Dianetics and Scientology. Indeed, Scientology is not even mentioned on Applied Scholastics' website despite it being the defining feature of Hubbard's life. So what role did Hubbard really play in the development of the Study Tech books? And what qualified this college dropout to be an educator? a. WHO WROTE THE STUDY TECH BOOKS? A curious fact about the Study Tech books is that they list no author or editor. The covers all say "Based on the works of L. Ron Hubbard", and the copyright registration is held by the L. Ron Hubbard Library, the business alias of the Church of Scientology's corporate alter ego, the Church of Spiritual Technology. But while the copyright dates are 1992 (or in the case of the Basic Study Manual, 1990), Hubbard died in 1986. So who wrote these books? "Mr. Hubbard was the author of the ideas and the technology of study... As they are Mr. Hubbard's ideas and methodologies, and his alone, Bridge Publications assigned the credit where it is incontrovertibly due, to L. Ron Hubbard, the originator." But why was no one credited for the work of putting Hubbard's ideas into textbook form? With a few minor exceptions very early in the Church's history, no one other than L. Ron Hubbard has ever received named authorship or editorial credit for any publication containing Scientology "technology". Scientology holds Hubbard to be the only source of approved knowledge. He is referred to as "Source" in the Church's publications. During Hubbard's lifetime, aides wrote many of his technical bulletins, but the faithful were told that the aides wrote only what Hubbard dictated, and that he approved every document before it was issued. Despite his death, the Church of Scientology continues to publish new Hubbard religious works, with the explanation that Hubbard left a huge body of unpublished material. A great deal of his output was reportedly dictated onto all manner of recording formats, and the Church has put an enormous amount of work into transcribing and conserving the original recordings. A senior Church committee periodically selects what it regards as key pieces of previously undiscovered "tech" and issues them as new bulletins. It is also engaged in a major process of "cleaning up" Hubbard's previous publications to remove what are claimed to be unwanted amendments sneaked in by members of his staff. The ostensible idea is to "purify" the scripture of Scientology and return it to a "Golden Age of Tech," using only that material which definitely originated with Hubbard. It is a "High Crime" in Scientology to alter any of Hubbard's writings. This explains why the Basic Study Manual has to list the three word clearing methods as numbers 3, 9, and 7. Renumbering these methods would be a fundamental alteration of "the tech", and would make the Basic Study Manual incompatible with Scientology scripture. But, curiously, although the overall scheme is still very much Hubbard's, the details have changed with varying levels of subtlety. Dissident Scientologists have identified many changes made to original Hubbard materials, including taped lectures, that indisputably were entirely the work of the man himself. This process of systematic alteration is apparent throughout Hubbard's works, not just those marketed as being part of Scientology proper. Despite the absolute prohibition on "simplifying" Hubbard's works, this is exactly what has happened in the case of the Study Tech manuals and other related "social reform" publications. His personal research projects comprise "major contributions to the prevention and cure of social ills such as drug addiction, crime, and illiteracy. His contributions in these areas have found widespread acceptance and use throughout the world in many sectors of society, including families, schools, businesses, governments and religious organisations... Although mainly known for his career as a writer, L Ron Hubbard was fully professional in many fields. His career as an educator spanned the globe and the decades from the 1920s to the 1980s. It spanned the lecture halls of Harvard University and the ships and crews he commanded and trained during WWII, as well as the expedition crews he led as a member of the Explorer's Club." His research "formed the basis of entirely new subjects in the fields of mental science and religious philosophy." He also recognised a collection of barriers to learning "apparently not previously recognised by educators, yet they proved to be the senior factors in all learning." The reality, however, was somewhat different. He was a college dropout with no qualifications beyond a purchased degree from a notorious Los Angeles degree mill. Nor had he any experience of teaching children other than one month in a native school on Guam in 1927, when he was just 16 years old. None of this, of course, is mentioned in any official account of Hubbard's career as an educator. Remarkably, Applied Scholastics omits entirely any mention of the fact that he spent 30 years teaching Scientologists, or that Study Technology itself was invented to "educate" Scientologists. L. Ron Hubbard's concern for education began when he realized the "influence of a mislearned word on a life." At that time, he was teaching English in a school in Guam. Whenever I sat down outside a doorway, the children would gather around me with a very dumb and astonished look upon their faces. The real test came when I commenced a teacher's career. The Chamarroettes would not study, they would just look at my hair. "While with my parents in Guam I taught school for about a month. It was good experience and in my opinion an adventure. The natives were none too easy to handle and I would not care to continue as a teacher there." "In order to convey the utterly foreign concept of a skyscraper, he tells of sketching nipa huts, one atop the other, until he had a sketch resembling the Woolworth Building." This is not mentioned anywhere in his diary and only appears in a Scientology lecture of January 15, 1957 entitled "Evil." It is highly probable that he invented the anecdote on the spot to dramatize the point that he was making. Hubbard did this sort of thing on many occasions, inadvertently setting his Scientologist biographers a hopeless task when it came to reconciling his multiple and often contradictory accounts of his own past. Hubbard's schooling was disrupted by his father's Naval service abroad and by his own impetuousness, when at the age of 17 he abandoned high school and travelled to his father's post at Guam without his parents' knowledge or consent. They reluctantly accepted his fait accompli, and what would have been Hubbard's twelfth grade was completed on Guam, taught by his mother. On returning to the United States he enrolled first at the Swavely Prep School, Manassas and then the Woodward School for Boys, an institution for difficult students and slow learners. He graduated at the age of 19, a year late. The next major step in Hubbard's education was his enrollment at George Washington University in Washington, D.C. This was not a successful venture. At his father's prompting, he had signed onto a degree course in civil engineering, a subject in which he had little interest and less aptitude. His grades were correspondingly poor, averaging only a 'D'. The Church of Scientology claims that "From the outset, George Washington University failed to impress him"; it would be truer to turn the statement the other way round. Hubbard was placed on probation at the end of his first year for his poor results but suffered a further slippage in the second year. He did not return to GWU for his third year, apparently deciding that the degree was unattainable. Scientology and Applied Scholastics either do not mention his flunking at all, or else attribute it to an improbable and unsupported switch of attention to "the greater track of research towards Dianetics and Scientology." It is claimed that Hubbard's time at GWU was crucial in his development as an educator, as it was there that he supposedly learned of the damage being wrought by "Wundtian psychology" and embarked on the research that led to Scientology. The official Scientology account (in "L. Ron Hubbard, The Humanitarian") cites a claim by Hubbard concerning a visit to the GWU psychology department, headed by a Dr. Fred Moss. Again, though, there is no contemporary evidence of this. The account is based on yet another dubious anecdote related many years after the fact, this time in a Scientology lecture entitled "Universes," delivered in Phoenix on April 6, 1954. In fact, Hubbard's problems at GWU appear to have been largely self-made. He had always had difficulties with mathematics, which was a real problem for a would-be civil engineer. But he did not bother to spend much time on academic matters at GWU. He instead spent much of his time trying to become a "barnstorming" glider pilot. Having established a glider club at GWU and got himself elected president, Hubbard soon qualified for a pilot's license. He gave a far higher priority to his gliding endeavors than to his coursework, routinely cutting classes if they got in the way of his "going up." In just two months in 1930, he recorded 116 flights (Miller, p. 49). On top of that, he also wrote a steady stream of articles for the Sportsman Pilot journal and for GWU's own internal newspaper, which he edited. It is hardly surprising that his academic career suffered as a result. After he dropped out of university in 1932, Hubbard lived a hand-to-mouth existence as a modestly successful though financially troubled writer of pulp fiction stories. Some of his biographies claim that he lectured at GWU during this period. He did do this but only once, in 1934, having been invited by one of his old professors to give a talk on creative writing. "During the Second World War, he became involved in the direct instruction of military personnel as well as the redrafting of instructional materials." This vague description of "direct instruction of military personnel" may be a reference to his overseeing the commissioning of the USS YP-422, a harbour patrol boat based in Boston, from which he was summarily removed after only two months in command. Or it may be a reference to his subsequent tour of duty at the Submarine Chaser Center in Florida, at which he was supposed to be undergoing training but ended up regaling fellow students with his (completely fictional) exploits aboard a destroyer fighting Nazi U-Boats in the North Atlantic. His shipmate Lt. Thomas Moulton recalled decades later that Hubbard was "used as something of an authority in the classroom" (Miller, p. 130). As for his work on "instructional materials," that may refer to the two weeks' work that Hubbard did in 1941 for the Navy Hydrographic Office concerning the Sailing Directions for British Columbia, a coastline with which he was familiar following a private voyage the previous year. None of these episodes amounted to much at all in terms of Hubbard's own educational development. Scientology used to claim that Hubbard attended Princeton University. This claim, however, seems to have been abandoned in recent years after being exposed as false. He had attended the US Navy's School of Military Government on the Princeton campus in 1944. The school was, however, not part of Princeton University. Hubbard's "modern science of mental health," Dianetics, became an unexpected and lucrative success following its launch in June 1950. The delivery of education now suddenly became a serious issue for him. From 1950 through to the mid-1970s, much of his work on Dianetics and Scientology was imparted to his followers through lecturing, which he soon found to be a highly profitable activity. It was a perfect role for Hubbard. He was a natural and extremely fluent public speaker. At his peak in the 1960s, he was able to deliver two one-hour lectures a day, five days a week, without notes and very often seemingly making them up as he went along. He recorded literally hundreds of lectures; today, they serve a crucial role in indoctrinating Scientologists, who know "Ron" chiefly as a voice on a tape. Many ex-Scientologists have commented on the impact that his "rich and jocular" dispensations of wisdom had on them (Atack, 1992). "having reviewed the damage being done in our society with nuclear physics and psychiatry by persons calling themselves "Doctor" [I] do hereby resign in protest my university degree as a Doctor of philosophy (Ph.D.), anticipating an early public outcry against anyone called Doctor." If he intended this to have a moral effect on the professions that he chastised, it didn't work. The following day's Daily Mail pointed out, somewhat churlishly, that the "degree" had never been valid in the first place. As a teacher of Scientologists, Hubbard's educational efforts focused primarily on adults. But from the very earliest days of Dianetics and Scientology, he paid close attention to children. This was not least because he had five of his own. It has to be said that he was not a very successful father; of his five children, he disowned and disinherited two, and one committed suicide. His surviving children were brought up as Scientologists but never saw him again after he went into hiding in 1977. He was actually closest to the children of other Scientologists, who became his most loyal followers and confidantes. In a bizarre twist, these loyal Scientology children took control of their Church in a "palace coup" in the early 1980s, and continue to run the Church to this day. One curious aspect of Scientology's ideology is that children are not actually treated as children. Hubbard claimed that human beings are actually immortal spirits or "thetans," trillions of years old, housed in "meat bodies." An individual's body might be ten years old or thirty, but the thetan - the person himself - would be entitled to equal treatment regardless of physical age. This underlies the similarity between the two versions of the Study Tech considered in this essay - that provided to children by Applied Scholastics and to adult drug addicts by Narconon. Both have identical texts, but the Applied Scholastics version features cartoons of children whereas the Narconon one shows adults - an obvious bid to make the first one child-friendly. The methodology in both versions is likewise identical. There is no obvious recognition of the fact that children are different from adults - that, for instance, their vocabulary and experience of language is smaller than that of adults. This reflected Hubbard's view that there was no real difference between the age groups. It is possible to process a child at any age level beyond the point when he learns to speak. However, no serious processing should be undertaken until the child is at least five. Extensive dianetic processing is not encouraged, except in very unusual circumstances, until the child is at least eight years of age. 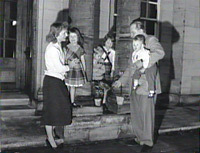 Hubbard eventually took a more relaxed approach, subsequently advising Scientologists that they "may accept a child of any age for processing (except psychos as per present policy)" ("HGC and Academy Prices for Minors," HCO Policy Letter of 29 March 1960). His treatment of children took a much more sinister turn in the late 1960s. It was a very difficult time for Scientology, and for Hubbard personally: he had been expelled from Britain, convicted of fraud in France and added to the Nixon administration's infamous "enemies list." Hubbard stayed one step ahead of the law by buying his own small fleet of ships, aboard which he, his family and nearly four hundred loyal Scientologists spent the next nine years cruising the Mediterranean. The "Sea Org," as it was dubbed, was soon declared to be "the most élite group on the planet." It became a very powerful faction within Scientology, due to its proximity to Hubbard and the unbridled fanaticism of its members. A number of those accompanying Hubbard were children - his own and those of crew members. Some were unaccompanied, their parents having quit Scientology or returned to shoreside Scientology organizations. Hubbard organized those children that he deemed most loyal into their own organization within the Sea Org - the "Cadet Org." This was constituted just like the Sea Org in miniature, with all the regular posts being held by children. At one time its Ethics Officer, responsible for discipline, was just eight years old. Hubbard went so far as to redefine the meaning of the word "children." A child, he declared, was "one who cannot handle an org or ship post." Any child who could handle such a post was no longer a child, but a Cadet. "10. Have you ever refused to obey an order from someone you should obey? 19. Do you have a secret? 34. Who have you made guilty? 71. Have you ever been a coward?" "He put this 4½ year old little boy - Derek Greene - into the chain locker for two days and two nights. It's a closed metal container, it's wet, it's full of water and seaweed, it smells bad. But Derek was sitting up, on the chain, in this place, on his own, in the dark, for two days and two nights. He was not allowed to go to the potty. I mean he had to go in the chain locker on his own, soil himself. He was given food. And I never went near it, the chain locker while he was in there, but people heard him crying. That is sheer, total brutality. That is child abuse." 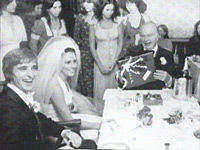 Hubbard (on the right) at the wedding of his daughter Diana, circa 1970. Note the group of at least eight teenage Messengers behind him. "When he woke up he would yell "Messenger" and two of us would go into his room straight away. He would usually be lying in his bunk in his underwear with one arm outstretched, waiting for us to pull him up to a sitting position. While one of us put a robe round his shoulders, the other one would give him a cigarette, a Kool non-filter, light it and stand ready with an ashtray. I would run into the bathroom to make sure his toothbrush, soap and razor were all laid out in a set fashion and I prepared his bath, checked the shampoo, towel and the temperature of the water. 'When he went into the bathroom we would lay out his clothes, powder his socks and shoes and fold everything ready to get him dressed. Everything had to be right because if it wasn't he would yell at us and we didn't want to upset him. The last thing we wanted to do was upset him. When he came out of the shower, he would be in his underwear. Two of us held his pants off the floor as he stepped into them. He didn't like his trouser legs to touch the floor, God forbid that should happen. We pulled up his pants and buckled his belt, although he zipped them. We put on his shirt, buttoned it up, put his Kools in his shirt pocket, tied his cravat and combed his hair. All this time he'd be standing there watching us run around him. Then we'd follow him out on to the deck carrying anything he might need - cloak, hat, binoculars, ashtray, spare cigarettes, anything he could possibly think of wanting. We felt it was an honor and a privilege to do anything for him." Hubbard's fanatical teenage Messengers - soon to become the new masters of Scientology. The Messengers' physical proximity to Hubbard effectively gave them control of his communications, placing them in an extremely powerful position in a Church that was totally dominated by Hubbard. For his part, Hubbard came to see the Messengers as the only people that he could trust entirely, much to the distress of his family. In 1977, following the arrest of his wife on charges of conspiracy against the United States Government, Hubbard went into hiding and was never seen in public again. The Messengers now became his sole conduit to the rest of the world. Using their newly acquired power, they mounted a palace coup in 1980-81, removing from power (and often expelling from Scientology) most of the Church's leadership. The leader of the "revolutionaries" was a 21-year-old Messenger, David Miscavige. Under his authority, squads of teenage Scientologists fanned out across the world to take over Scientology organizations controlling thousands of staff and assets worth hundreds of millions of dollars. The Commodore's Messenger Organization thus became the top management organization in Scientology. Despite the extreme youth of some of its members, they acquired extraordinary power and responsibilities. A fairly typical example could be found in Britain, where a fourteen-year-old, Gulliver Smithers, was placed in charge of all other Scientology organizations in the country. He was not even the youngest CMO executive in Britain. The CMO was disbanded following Hubbard's death in 1986. By this time, and despite considerable turmoil within the Church, its members had gained a lockhold on Scientology's management. The CMO's former members continue to dominate the senior ranks of the Church and former Messenger David Miscavige remains the head of the Church of Scientology to this day. As a direct result of Hubbard's bizarre management style, Scientology had been taken over by its children. However, a detailed examination of the Study Tech materials reveals a very different picture. It is certainly true that Study Tech does not mention the word "Scientology." But this is only because that word has systematically been removed from the Study Tech books. In every other respect, Study Tech is entirely derived from Scientology. Much of its training materials is taken directly from Scientology religious works, often word-for-word. Because the details of Scientology doctrine are not widely known and its works are not generally available, it can be hard for non-Scientologists to spot the connections. But even the most profoundly unversed reader can hardly fail to spot the similarities -- and direct matches -- when Scientology and Study Tech books are compared side-by-side. a. IS STUDY TECH SECULAR OR RELIGIOUS? The Tech of Study is new and is part of the Tech of Scientology. In an earlier policy letter, he declared that "Study Tech is our primary bridge to Society" ("Ethics and Study Tech", HCO Policy Letter of 4 April 1972). It is closely identified with Scientology even on the official Study Technology web site. The Scientology influence is apparent throughout the Study Tech manuals. As is the case with course materials for Scientology's other "social reform" programs, Study Tech is riddled with Scientology jargon and religious doctrines. The lengthy glossary at the back of the Basic Study Manual includes many Scientology jargon terms and Hubbardian neologisms. Besides "mass", "gradient", "misunderstood" (used as a noun), and "word clearing", other examples of Scientology-specific terms or usage found in the Basic Study Manual include "reelingness" (p. 37), "blow" (pp. 58, 97), "doingness" (p. 66), "reality factor" (p. 144), "senior data" (p. 260), and "cause" and "effect" (pp. 273).. A similar set of terms can be found in Study Skills for Life, and in Learning How to Learn. Lack of mass causes one to feel squashed, bent, "spinny", dead, bored, or exasperated. In Learning How to Learn, additional symptoms listed include headaches (p. 64) and eyestrain (p. 66). Too steep a gradient causes a feeling of confusion or "reelingness". A misunderstood word causes one to feel blank, washed-out, or "not-there", or to suffer a sort of nervous hysteria. What would you do if you and your brother were in your bedroom and he was explaining to you about the engine in your dad's car and you started to feel bored and your head started to ache? [I]f a child were studying and felt sick and it was traced back to a lack of mass, the positive remedy would be to supply the mass -- the object itself or a reasonable substitute -- and the child's sickness could rapidly clear up. But why should the mere act of reading or listening cause physiological reactions when a misunderstood word crops up? And why should a misunderstood word prompt a student to go on a vandalism spree, as the Basic Study Manual depicts? The answers lie in a combination of two Scientology doctrines. The first is "ARC," short for Affinity-Reality-Communication. Collectively these form what Hubbard called the "components of understanding." Affinity can be described as one's degree of liking of a thing. Reality is one's level of acceptance of a thing (if it's true for you, it's true). Communication is one's ability to exchange ideas with others. Each element of the "ARC triangle" is dependent upon each of the other elements. If one of the elements is knocked out, the result is termed an "ARC break". An ARC break has negative consequences for the second of the two Scientology doctrines in question. The "Tone Scale" was Hubbard's attempt to assign precise rankings and numerical values to no fewer than 59 different emotional states (or "tones"). For instance, Enthusiasm is at 4.0, Resentment is at 1.3, Grief is at 0.5 and Shame is at -0.2. Hubbard composed a highly detailed "Chart of Human Evaluation" purporting to show what behaviors would manifest themselves at a particular tone level. This includes the individual's likely physiological states. If an ARC break strikes, the claimed effect is said to be that a person is pushed "downtone" to a lower tone level. How is this supposed to work in practice? Imagine that a student encounters a misunderstood word but doesn't deal with it properly. The student's cannot comprehend the text, so is pushed "out of reality". This is an instant ARC break. The student slides down to a lower tone level -- let us suppose that he started at 4.0, Enthusiasm, and now ends up at 2.0, Antagonism. The Hubbard Chart of Human Evaluation tells us what to expect. According to Hubbard, the student will now be "capable of destructive and minor constructive action". He will be subject to physiological effects including "severe sporadic illnesses," or as the Basic Study Manual puts it, "various mental and physical conditions." He will be "antagonistic and destructive to self, others and environ," a trait illustrated by the Manual's depiction of an ARC-broken student vandalizing his school's restroom. He "nags and bluntly criticizes to demand compliance with wishes" which the Manual describes as the student's "various complaints, faultfinding and look-what-you-did-to-me." None of this is explained in the Study Tech manuals. It is, however, explained in some detail by Hubbard in the "Study Tapes" -- a series of lectures given in 1964 on the subject of study and education, which are today part of the Scientology "Student Hat" course. The Study Tech is therefore put in its proper theological (or Scientological) context when studied as part of Scientology. This context is stripped out when the Study Tech is disseminated outside of Scientology, leaving a lot of loose ends and omitted explanations. No attempt is made to supply a non-Scientological explanation; the gaps in context remain unfilled even when highly visible. For instance, the fact that the Study Tech uses "word clearing" methods numbered 3, 7 and 9 begs the question of what happened to the other methods. The question is never addressed by the Study Tech materials. The result is that the "secularized" version of the Study Tech is actually even less coherent than the Scientology version. The student is not encouraged to dwell on this problem. Word clearing ensures that the gaps will be papered over -- the concepts might not make any sense, or be explained in any way, but that is deemed to be of little concern. b. WHERE DOES STUDY TECH COME FROM? The contents of the Study Tech books are taken directly from Scientology scriptures published over a period of about twenty years between approximately 1960 and 1980. Not all of the material is reproduced in exactly the same form in the Scientology and Applied Scholastics versions. A number of significant changes have been made. Hubbard's rambling lectures have virtually been rewritten, although their underlying message remains the same. Some of the wording of original Scientology materials has been modified, presumably to make it more readable to a non-Scientologist audience. All mention of Scientology has systematically been removed, although some Scientology jargon still remains. But despite these modifications, much of the text remains close to the original Scientology versions in word or spirit. Each chapter of the Basic Study Manual is drawn from one or more original Scientology works, often retaining the same or an abbreviated version of the titles. "So some years ago I had incautiously and in a moment of weakness bought a course of photography. Of course, I’ve been at photography since I was a kid; a nice hobby, and I have a lot of fun with it, and so forth. And at one time or another, why, I’ve sold pictures and so on. It’s just one of these hobbyist things that you fool with. I’d probably classify as an advanced amateur; one time I classified as a pro, when I was in college. Used to make a lot of money, National Geographic and so forth. I think there’s some geography books around that still carry pictures of mine in them. ... So I took up this correspondence course in photography -- the New York Institute of Photography, one of the best -- and rolled up my sleeves, and found out I’d never gotten deeper than about the third lesson." "I once took a correspondence course in photography, thinking that I might learn a few more tricks in the subject. I had been a rather successful photographer, having sold many of my photographs to magazines, and some of my work had even been published in geography books. However, once I started the course, I only got as far as the third lesson when I found myself bogging down and putting it aside." "Education in the absence of the mass in which the technology will be involved is very hard on the student. It actually makes him feel squashed. Makes him feel bent, sort of spinny, sort of dead, bored, exasperated. If he is studying the doingness of something in which the mass is absent this will be the result. Photographs help and motion pictures would do pretty good as they are a sort of promise or hope of the mass but the printed page and the spoken word are not a substitute for a tractor if he’s studying about tractors. You have to understand this data in its purity -- and that is that educating a person in a mass that they don’t have and which isn’t available produces physiological reactions. That is what I am trying to teach you. "Trying to educate someone without the mass that he is going to be involved with can make it very difficult for him. Imagine trying to learn how to run a tractor with no tractor to look at! Such an absence of mass can actually make a student feel squashed. It can make him feel bent, sort of spinny, sort of dead, bored and exasperated. If he is studying the doingness of something in which the mass is absent, this will be the result. If one is studying about tractors, the printed page and the spoken word are no substitute for having an actual tractor there. Photographs or motion pictures are helpful because they represent a promise or hope of the mass of a tractor. It is important to understand that educating a person in a mass that he does not have and which is not available can produce some nonoptimum physical reactions." "You might suppose at once that it is the BIG words or the technical words which are most misunderstood. On actual test, it was English simple words and NOT Dianetics and Scientology words which prevented understanding." On actual test, it was English simple words and NOT technical words which prevented understanding." "Dictionaries are vital and important tools in studying or learning any subject. However, current dictionaries vary in accuracy and usefulness and many of these modern dictionaries are virtually useless and can actually confuse a person due to their false and omitted definitions and grammatical and other errors. So the dictionary that a student chooses to use is important and can actually make a difference in his success as a student. As dictionaries are such an important factor in the learning and application of Scientology (or any subject for that matter) I thought I had better recommend some dictionaries that have been found to be the best of those currently available." As dictionaries are such an important factor in the learning and application of any subject, a list of some dictionaries that have been found to be the best of those currently available is included here." "The student is given a word or auditing action or situation to demonstrate. He then does this in clay, labeling each part." "The student is given a word or situation to demonstrate. He then does this in clay, labeling each part." "Any part of the mind can be represented by a piece of clay and a label. The mass parts are done by clay, the significance or thought parts by label. A piece of clay and a label are usually both used for any part of the mind. A thin-edged ring of clay with a large hole in it is usually used to signify a pure significance." "Any thought can be represented by a piece of clay and a label. The mass parts are done by clay, the significance or thought parts by label. A thin-edged ring of clay with a large hole in it is usually used to signify a pure significance." "The misunderstood word is looked up in a good dictionary and cleared per HCOB 23 Mar 78RA Word Clearing Series 59RA Clearing Words. Method 3 is tremendously effective when done as described herein. If it were done every time a student hit a bog or slow or every time a student became dull or his study stats dropped your students would gradually get faster and faster and brighter and brighter. Study stats would soar and the Academy [of Scientology] would turn out more and more auditors as well as other trained individuals the org could really be proud of. So get a good reality on it and become expert in its use. Use it to Keep Scientology Working." "The student looks up the word found in a dictionary and clears it per the steps of clearing a misunderstood word. Method 3 is tremendously effective when done as described herein. So get a good reality on it and become expert in its use." "In Scientology training we use a system called TWIN CHECKOUTS. Each student is assigned a "twin" to work with. The student studies his assigned material and is sometimes coached over the rough spots by his twin. When the student knows the material, he is then given a checkout by his twin." "In coaching drills, two students work together, one acting as a trainer to help the other achieve the purpose of the drill. Once the first student has become competent on the action, he becomes the coach to help the other student through." These examples illustrate a very important point about the purpose of Hubbard's Study Tech. It was designed from the outset to teach Scientology to Scientologists. It was devised for religious purposes and taught in a religious context, and its adaptation to a secular environment has involved little more than taking off the Scientology labels. The elimination of mental mass is the central ritual -- and the largest source of income -- of the Church of Scientology. It is accomplished by replaying the mental image pictures until the "charge" (or mass) associated with them blows off. Scientologists believe that the mass of an engram can be measured electronically, using their E-meter device, short for "electropsychometer". The E-meter measures skin resistance in much the same way as a police lie detector. Scientology auditing (counseling) sessions use the E-meter to help the subject "locate" and "erase" their mental mass, supposedly thereby freeing them from the emotionally and physically harmful effects of their bad memories (Cooper, 1971, ch. 18). The E-meter can detect when engrams are discharged -- according to Hubbard -- because the body's electrical resistance decreases as mental mass is eliminated. More information on the E-meter can be found at the "Secrets of the E-Meter" web site (Touretzky, 2000). Scientology has a history of making unsubstantiated claims about the power of E-meter auditing to cure disease. On January 4, 1963, the US Food & Drug Administration raided the Washington, D.C. headquarters of the Church of Scientology and seized more than one hundred E-meters as illegal medical devices. This was as a direct result of fraudulent claims that Hubbard had been making about the machine (Atack, 1990, pt. 3, ch. 7; Miller, 1989, ch. 15, pp. 246-248.). The subsequent legal battle over the raid led eventually to a settlement under whose terms E-meters were required to bear a printed disclaimer. The disclaimer found on current models begins: "By itself, this meter does nothing. It is solely for the guide of Ministers of the Church in Confessionals and pastoral counseling. The Electrometer is not medically or scientifically capable of improving the health or bodily function of anyone..."
The latest model of the E-meter, known as the Hubbard Professional Mark Super VII Quantum, was unveiled in 1996. The Church of Scientology charges its members more than $4,600 for it (as of 2003), although the cost of the components is at most a few hundred dollars. "The e-meter is extensively used in the "study tech" setting. Students are periodically subjected to questioning on the meter to ascertain if they have any disagreements or misunderstood words they have not looked up. Students who refuse to submit to meter checking are routed to ethics, or required to write confessions of all their transgressions while they were being a student." In Method 1 Word Clearing, the "auditor" goes through a long list of subjects while the student listens. The auditor notes those subjects that cause "reads" (abnormal needle movements on the meter, indicating mental mass.) Afterward, the auditor goes back and, for each noted subject, finds a chain of earlier words or earlier subjects, considering each in turn to see what problems the student may have with them. Reviewing these problems is supposed to release the "charge", meaning that the mental mass evaporates. Method 2 word clearing is used to clear words in specific materials. The student reads the material to himself while holding the E-meter electrodes. The auditor monitors the E-meter, and misunderstood words are detected by meter readings. Method 4 is used by "cramming officers" to search for misunderstood words. (Cramming is Scientology's term for remedial instruction ordered when a student shows lack of mastery of previously studied material. As the name indicates, it is essentially a rote learning task.) The cramming officer reviews the material with the student and uses the E-meter to "fish" for misunderstoods. In Method 5, the word clearer feeds words to the student one at a time and asks for their definitions. Those the student cannot define are looked up in the appropriate dictionary. (A Scientology dictionary is used for Scientology terms.) This may be done with or without the E-meter. Method 5 is the method used to clear words used as auditing commands in Scientology counseling sessions. Method 6 is called Key Word Clearing, because it focuses on the key terms associated with a specific post (i.e., a job, either within the Scientology organization or in the secular world), or a specific subject. The word clearer makes a list of these terms in advance, and then asks the student to provide a definition for each one. It does not use the E-Meter. Method 8, which appears to no longer be in use, was supposed to produce something called "superliteracy". Students must make an alphabetical list of every word in a piece of material to be studied. They then look up the definition of each of these words. This was claimed to give complete mastery of the material, but, unsurprisingly, it never lived up to Hubbard's promise. It should be evident by now that word clearing with or without an E-meter is a prominent part of the Scientology religion. The Study Tech books discuss only three methods, and make no mention of the E-meter, in an effort to hide the essentially religious nature of the practice. But a secular version of the E-meter, called a "Learning Accelerator", is reported to have been used in at least one supposedly non-denominational private school controlled by Applied Scholastics, with wider release planned once Study Tech gains a foothold in the public schools. 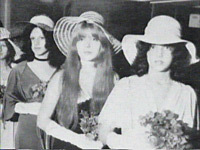 Educational matters have played an important part in Scientology doctrine for many years, even before Study Tech was formulated in the 1960s-70s. The issue of education dovetailed neatly with Hubbard's persistent aim of improving the functioning of the human mind. The original Dianetics, way back in 1950, was claimed to improve the subject's memory, analytical ability and IQ (which would "go up like a skyrocket"). Dianetics was supposed to be a set of universal principles which would be applicable in every walk of life and every situation. It was hardly surprising that Hubbard identified flaws in what he called "the faulty educational system currently employed" -- flaws which, naturally, Dianetics could correct. When Hubbard relaunched the secularly-oriented Dianetics as the spiritually-oriented Scientology in 1952, he added educational matters to his increasingly complex cosmology. Scientology was originally quite open about its core beliefs, but has over the years become increasingly secretive. These days, only trusted high-level Scientologists are allowed to learn the secret "advanced technology" of Scientology. Fortunately for the rest of us, enough information has leaked to allow us to learn something of Scientology's most fundamental beliefs, in which the issues of education and Study Tech play an important part. Low-ranking Scientologists are taught to detest the conventional educational system because of its embrace of psychiatry and psychology (a topic discussed in detail in the next section of this essay). High-rankers are given a different and somewhat bizarre reason to prefer Hubbard's methods: non-Scientologist education has been heavily influenced by malevolent extraterrestrial forces. At its heart, Scientology is a 1950s-style UFO religion. Its high-ranking followers are taught the secret history of the universe as Hubbard saw it, involving extraterrestrial "Invader Forces," "implant stations," "zap guns," galactic empires and interstellar genocides. According to Hubbard, we are all immortal spirits or "thetans" trapped inside "meat bodies." At various times over the "trillenia," jealous corporeal beings have captured and abused thetans, brainwashing them and dumping them onto the prison planet Teegeeack -- otherwise known as Earth. This brainwashing has been accomplished through the means of "implant stations" located in places like Mars, Venus, the Pyrenees mountains and so on. They supposedly implant a series of hallucinations or "engrams" in thetans in order to condition and control them. Scientology is, naturally, the means by which this conditioning can be broken. Much of our daily behaviour is the direct result (or "dramatization") of the implanted conditioning. The present educational system is one of the products of the extraterrestrial brainwashing campaign. THE OBSESSION: This incident is the incident which gives one the feeling he HAS to have facsimiles in order to know. Actually one doesn't need facsimiles. One thinks in concepts, approximations, pervasions. A fine control trick is to make one think he has to have facsimiles. This aberrates him and makes him easy to handle. Educational systems are locks on this. The incident is an electronic incident, very strong, and sometimes includes a great many source points of energy directed against one's back. THE EDUCATION: After all these [other implants], the thetan was given a complete education. This was of a hypnotic, stimulus-response variety. It was the type of education which makes a file card system out of a thinking being. It is dramatized today in universities as it requires no skilled instruction. [T]he entire field of learning is today dramatizing the significance of blackness. The jest is terrible, when one realizes how he has been betrayed by education. Print is in black, the page is white. In order to read, one has to put forth an effort to suppress the whiteness of the page. This keys in gradually the suppression of the brightness of an explosion, a thing which is automatic, and which is succeeded by darkness. The black letters apparently contain knowledge - and actually often do - but they lead the poor student deeper and deeper into "What is the significance?" And the more he studies, the less he knows, until he is left at length in a complete mystery of darkness. And, mentioning education brings one to the most terrible thing which can happen to the thetan. This is to have a guarantee of no explosions. Once the thetan cannot have, either by manufacture or acquirement, explosions or facsimiles of explosions, he is finished. Prison is so terrible merely because it denies the thetan explosions. The interim after death is terrible to the thetan because it is without explosions. Education as done on the public school system guarantees long periods in cubicles which contain no explosions; and education free from the printed page for long years in cube space is easily the most destructive and effective method of destroying the vitality of a race and the initiative and energy of those who should be its leaders and is, to say the least, rather typical of the MEST [physical] universe. BTs can get Mis-Us from reading matter, foreign languages, and I have found BTs that don't speak English. There is also a basic consideration that the Dead would not understand anything anyway. BTs are dealt with through procedures outlined in a series of highly confidential Scientology documents collectively called New Era Dianetics for Operating Thetans (NOTs for short). Very few Scientologists achieve a sufficiently high level of clearance to undertake the NOTs course, so knowledge of the NOTs doctrines is not widely shared within the Church of Scientology. Because Church spokespeople are trained to not disclose information to those deemed insufficiently spiritually advanced, they usually decline to make any comment on the contents of the NOTs documents. However, leaked copies have been posted on the Internet on a number of occasions; the document on BTs with Misunderstood Words may be found at w4u.eexi.gr/~antbos/ned7.htm. This discovery shows the importance of clearing words used in auditing questions and commands, and the importance of clearing Mis-U words in general. And of course the fact that these Mis-Us may be a BT's Mis-Us rather than the person's own Mis-Us, will dispel any mystery about why one can run into Mis-U word phenomena when one knows the word himself. "By sponsoring generation plants of LRH [L. Ron Hubbard] social betterment technology on a global scale, such as Narconon Arrowhead, the Applied Scholastics International Spanish Lake Campus [in St. Louis, MO] and The Way to Happiness Foundation International, the decline of current society is being arrested so that it is possible for the peoples of earth to walk onto and up The Bridge [to Scientology]. The Applied Scholastics Spanish Lake Campus, whose purchase and establishment were made possible by grants from the US IAS Members' Trust, is the answer to handling the worldwide illiteracy problem. The need for it has never been greater. As Bennetta [Slaughter, CEO of Applied Scholastics International] pointed out, Ritalin use in US schools has soared over the last 10 years from 900,000 to almost 5 million users - most between five and twelve years of age. And while 38 billion dollars have been spent on education in the US alone, literacy rates are plummeting with 20% of American adults functionally illiterate, thereby finding even such basic actions as balancing checkbooks and filling out forms difficult tasks. The only answer is to get LRH study technology implemented on a massive scale, and that will be the role of the Spanish Lake Campus which is moving rapidly toward its opening, thanks to support from the membership. In our educational systems, Wundtian-based psychological and psychiatric theories have left a legacy of spiraling illiteracy. With the broad introduction of psychiatric mental health programs into the US school system in 1963, Scholastic Aptitude Test scores declined nationwide for sixteen straight years and have leveled off in a much lower range. While illiteracy has always been with us, it has generally been because of lack of schooling. These figures have worsened in spite of the availability of schooling for everyone. The point is made in more detail by another Scientology "social reform" organization, the Citizen's Commission on Human Rights, which campaigns against psychiatry. It has published a booklet on the subject entitled Psychiatry - Education's Ruin, one of a number of lurid publications attacking psychiatry. The booklet purports to show "how the education system has been infiltrated, subverted and brought to the brink of collapse" by psychiatrists. A hidden conspiracy of psychiatrists has apparently determined to undertake "controlling human nature and changing it to the advantage of the common weal" as defined by psychiatry (p.6). Teachers have "shed their trademark role and become psychiatric agents" (p.10). State funding of psychiatrists has increased massively in the US and elsewhere, leading to an explosion of social problems: "there is hardly a country in the world today not faced with increased drug use and suicide among youth and that, coincidentally, does have an increasing number of child psychiatrists and psychologists spreading propaganda that conditions are so bad our children are 'at risk' and 'need help'" (p.11). The subject of psychology began its texts by saying they [sic] did not know what the word means. So the subject itself never arrived. Professor Wundt of Leipzig University in 1879 perverted the term. It really means just a study (ology) of the soul (psyche). But Wundt, working under the eye of Bismarck the greatest of German military fascists, at the height of German war ambitions, had to deny man had a soul. So there went the whole subject! Men were thereafter animals (it is all right to kill animals) and man had no soul, so the word psychology could no longer be defined. You can't just take the enemy's school system, give it a light coat of study tech and think you're applying the L. Ron Hubbard philosophy on education. Quite often a parent will give me a pretty grim picture of what his kid is into and in the same breath say: "Charley's doing okay in school, he got an 'A' in Math." At that point I chill to the bone, for I know the boys who gave Charley that "A" and I know what it stands for: "Charley is progressing toward death at an acceptable rate." We see all indications of his imminent demise and we are pleased." The enemy system is hypnotizing your child and making him stupid. No, I'm not being harsh. I'm not being harsh enough! For too many years the victims of this system have been brought to my office by shocked parents; their lives suddenly disrupted emotionally, legally, financially as they must now face what it will take to put Charley back together again. The parents as you can imagine, are crushed. They see their cause now. It wasn't Charley who betrayed them. It was they who betrayed Charley by sending him into the enemy camps unprepared to deal with the suppressives' system. They are as red as paint. Their former president was a card carrying Communist and they have four on their Board of Directors. Yet they reach into International Finance, Health Ministries, Schools, the press. They even control immigration in many lands. Education has fallen under the control of one-worlders, is less and less real. Data taught is being taught less well. Less data is being taught. School and college unrest reflect this. Confirmation is the deteriorated basic education found in teenagers such as writing. Older technologies are being lost in modern rewrites. THIS THIRD DYNAMIC [social] PSYCHOSIS IS A COVERT REFUSAL TO TRAIN. They say poverty makes crime. They say if one improved education there would be less crime. They say if one cured the lot of the underprivileged one would have solved crime. All these "remedies" have proven blatantly false. In very poor countries there is little crime. The "improving" education, it was tailored to "social reform," not teaching skills. And it is a total failure. The fact that rewarding the underprivileged has simply wrecked schools and neighborhoods and cost billions is missing. So who is "they"? The psychologist and psychiatrist, of course. These were their crackpot remedies for crime. And it's wrecked a civilization. There's only one remedy for crime - get rid of the psychs! They are causing it! Ah yes, it's true on cases and cases of research on criminals. And what's it all go back to? The psychs! The establishment of Scientology's "social betterment" organizations - Applied Scholastics, Narconon and Criminon as well as a variety of others - followed on the heels of Hubbard's confidential declaration. This was very likely not a coincidence. All three organizations are heavily involved in areas that are greatly influenced by psychiatry and psychology - education, drug rehabilitation and criminal rehabilitation. Significantly, there is no place for any aspect of psychiatry or psychology in any program run by any of the three organizations. All three share, and have publicly expressed, Hubbard's hostility to psychiatry and psychology. And of course, if money is being spent on a Hubbardian program, then that money will be lost to psychiatry or psychology. This helps to meet Hubbard's goal of Scientology "perform[ing] [the psychiatrist's] functions and obtain[ing] his financing and appropriations." Reading, unlike speaking, is not an evolved ability: it has to be taught. But just as there are disorders that affect speaking, there are also disorders that affect reading and learning. Dyslexia is probably the best known and most widespread of these, affecting up to one in five schoolchildren. There are others, including the often controversial Attention Deficit Disorder (ADD), commonly treated with the drug Ritalin; dyscalculia, a math disorder; and dysgraphia, a handwriting disorder. These disorders have two things in common: medical science identifies anomalies in the brain as their probable cause, and supporters of Study Tech claim that it can cure them. Celebrity Scientologist and actor Tom Cruise is one of many who has publicly claimed that his dyslexia was overcome by Study Tech. This immediately raises three questions. Can dyslexia be cured? Is there any hard evidence that Study Tech has cured anything? What does Study Tech say about dyslexia and other learning disorders? Dyslexia cannot be "cured" but it can at least be dealt with, if caught at a sufficiently early age. Psychiatric researchers have discovered, using magnetic resonance imagers to watch the activity of the brain in real time, that the probable cause of dyslexia is a "miswiring" between three parts of the left side of the brain that play a key role in reading. This is not an insurmountable problem: the brain is an enormously adaptable organ that can "rewire" itself over time if given sufficient stimulus. A young child's brain is the easiest to "rewire," as the brain is still developing - a fact illustrated by the ease with which children pick up new languages, in marked contrast to the difficulties experienced by many adults. This means that if dyslexia is to be tackled, it should ideally be tackled as young as possible with a targeted program of remedial education. A leading researcher into dyslexia, Yale University neuroscientist Sally Shaywitz, reports that brain scans of dyslexic kindergartners and first-graders who have benefited from a year's worth of targeted instruction start to resemble those of children who have never had any difficulty reading. Dyslexia in older people cannot be tackled in quite the same way, as their brain "wiring" will be set in a more fixed pattern. Even so, specialist centers for dyslexics such as the Frostig Center in Pasadena, California have achieved impressive results through a combination of specialist education and applied technology (of the electronic rather than the Hubbardian kind). "When an individual of the prominence of Tom Cruise makes statements that are difficult to replicate in terms of what science tells us, the issue becomes what other individuals who are dyslexic do in response to such a quote-unquote success story. There is not a lot of science to support the claims that the teachings of L. Ron Hubbard are appropriate to overcoming dyslexia." There are plenty of similar "success stories" from Scientologists, but uncorroborated subjective anecdotes are a notoriously unreliable form of evidence. In the case of Study Tech, there is also the problem that these accounts are not freely given, that there are effectively penalties for failure to claim success, and that those to whom the accounts are given are already convinced that Hubbard's theories are proved beyond any dispute. (See the section "Study Tech Assessed" for more on this.) In short, Study Tech's supporters' claims cannot be verified and are very likely influenced by the bias of the reporting process. Dyslexia is a PSYCH term. It is a catch-all phrase that has gone from meaning reversal of letters to meaning anyone who can't read or study well for any number of reasons. IT IS A PSYCH CONCEPT. So, the first thing is to TOSS THE WORD "DYSLEXIA." It's just more psych crap. Confronted with children whom psychologists, psychiatrists and teachers claimed had ADHD [Attention Deficit Hyperactivity Disorder], I have not been able to find any abnormality - no disease whatsoever! Dyslexia (or Specific Reading Disability), we are told, is an abnormality in the language parts of the brain, not manifest until the child fails to gain literacy in the early grades of school. What parents and teachers are usually not told, however, is that over sixty years of research have failed to confirm that a defect of any sort exists in the brain of a child who has been labeled dyslexic. Sadly, maintaining this condition to be a fact is doing incredible damage to these individuals. These made-up disorders, along with others including "Severe Emotional Disorder" or "Dyscalculia" (special arithmetic disorder), have never been validated as brain diseases. "Dyslexia" is in fact a coverup for the victims of a deliberate psych-based assault on the mind which is also now another catch-all "treatable (and chargeable) psych illness". To understand the significance of the word 'dyslexia' in our modern world, it is important to understand the way the psychs work. They are essentially running a con game -- all that they are and all the income they make depends solely and entirely on how effective they are as con men. Part of their smoke and mirrors is the development of resounding Latin and Greek labels which create the apparency that a palpable pathological condition exists when there is actually nothing there at all except perhaps a confusion. They then conduct studies which pretend to develop epidemiological statistics of the incidence of this made-up disease, and voila, you have a REAL disease. But the stats are ALL FALSE. I know, I've researched enough of their studies to see how they do it. It would be best if Scientologists refused to use the word 'dyslexia' and whenever it comes up, nail it, hard. Since dyslexia is defined as arising from a physical cause, the person purporting to label a child with dyslexia has the burden to prove that the child is brain-damaged or otherwise physically damaged in some way. Failing that, the use of the term 'dyslexia' is inappropriate. How often are students labeled as having some psychiatric named affliction (such as ADD or developmental reading disorder) when the truth is that they are displaying mental or physiological phenomena caused by having hit a barrier to learning? For example, nervous hysteria is one of the potential symptoms of having passed a misunderstood word. How often have students displaying this symptom been labeled by a teacher as 'perhaps having ADD'? From that moment on the teacher will most likely find other 'evidence' of ADD and perhaps even recommend that child be put on the destructive drug Ritalin. The problem remains, that no matter how bad the reading scores or how many children are rendered permanently "dyslexic" or "reading disabled," those of the Whole Language faith perservere, convinced that they have the right way, that the faults are not with Whole Language and that given time, and a few million more of our children, they will prove it. They are the main cause of "dyslexia." They are the main cause of "at risk" children. They are the main cause of our "at risk" society. The supporters of Applied Scholastics and Study Tech also share Hubbard's implacable opposition to the use of psychiatric drugs to assist those diagnosed with disorders such as ADD. Such treatment is admittedly controversial and has aroused concern from non-Scientologists as well. But Applied Scholastics and its sister organizations take an extremist view of the matter, rejecting any use of psychiatric drugs. This view is not subject to change, even if the value of drugs such as Ritalin is proved beyond all doubt. Its adherence to Hubbard's view of psychiatry means that any psychiatric diagnosis must automatically be treated as suspect, if not rejected outright. Those who suffer from learning disorders can only be badly served by this approach. Someone with dyslexia is unlikely to benefit from a "therapy" provided by an organization that denies the very existence of dyslexia. The Scientology heritage and Scientologist management of Applied Scholastics has pushed the organization into a wholly dogmatic and unscientific approach to the issue of learning disability. It is a particularly cruel irony that while Study Tech is promoted as being uniquely suited to addressing learning disorders, in practice it is likely to be much less useful than the "wog learning" that its supporters like to disparage. Much of this essay has addressed methodological concerns about Study Tech -- its unsound theories, its basis in religious dogma, its undisclosed ties to Scientology. But in the end, the most fundamental concern of all is the simplest: does it work? In New Zealand, students in a girls school showed an increase of twelve IQ points on the Otis Lennon Mental Ability Test after completing a course based on Mr. Hubbard's learning methods. Another study conducted in England showed that students shot ahead 1.29 years in their reading levels after just ten hours of study using Mr. Hubbard's study technology. Comparatively, no gain in reading levels was found in a control group of students not instructed in study technology. In Mexico City, the study technology was introduced into a private school. High-school students in one class had failed 95 percent of their materials. 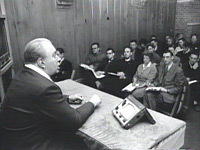 After application of L. Ron Hubbard's study technology, the class passed 90 percent of the materials the following year. Note how unspecific the attributions are: "a girls school", "students in England", "a private school". More specific claims are occasionally made. However, when statistics that can be checked independently have been provided, they have been shown to be dubious. Steve Keller is the father of a daughter who attended one of the Californian branches of the Delphi Academy, which uses Hubbard's Study Tech. In 1997, he became concerned about the claims being made about Delphi and decided to try to corroborate them. Delphi claimed that 96% of its students applied for admission to college and provided him with a "Partial List of Colleges and Universities that have Accepted Delphi Graduates." He contacted each of the 35 schools named. Of the 27 that replied, only three acknowledged having received applications from Delphi students in recent years. Another sixteen said either they had not received such applications or they could not consider them. For example, U.C. Santa Barbara said it "...does not accept students applying from Delphi Academy...because Delphi is not an accredited institution." Keller cross-checked with California's Accrediting Commission for Schools, which replied that it had not accredited Delphi. American College Testing told him, "Few if any Delphi students have taken the ACT test." It was not surprising that he concluded, in a letter to the Los Angeles Times, that "Whether or not they have success in these endeavors, we need to ask: do Hubbard's methods work? If Delphi is a good example, they obviously do not." Applied Scholastics has a section on its website dedicated to the results of Study Technology. It provides little more than a number of "success stories" from teachers, parents and children, as well as a poorly presented set of statistics. The "success stories" are almost all anonymized: for instance, "J.M." of "Lower Basic School" is quoted as saying that "When I finally succeeded in the first part of the Learning How to Learn Course for Teachers I shed tears of joy." This kind of anonymization is standard practice in all Scientology-related organizations. It is not entirely clear why it is done, but one consequence is to make it impossible for outsiders to verify the claims, as no usable personal or locational information is provided. It also makes it impossible to check whether those quoted have any vested interests. Very often, quoted individuals turn out to be Scientologists with a potentially strongly biased view on the matter. Another standard Scientology practice is to provide lots of impressive-looking but vague statistics which are not explained in any detail. Appled Scholastics does this in spades. Its web page on statistics offers a set of bar graphs and pie charts purporting to show spectacular increases in educational achievements following the introduction of Study Tech. The data are hopelessly vague and not explained at all. The first two graphs claim to show results achieved in "Brixton, England" and "Midlands, Zimbabwe." The rest relate to "Lindbergh Elementary School," "Ball Elementary School", "teachers in Zimbabwe" and "Bell Elementary School". Nowhere is it explained where any of these studies were conducted. Nor does Applied Scholastics say when they were conducted, how many students were involved, who conducted the studies, or how they were conducted. This is basic, fundamental information which any serious researcher would present. Applied Scholastics is not alone in its apparent sloppiness: similar figures are presented similarly vaguely on the websites of its parent organization, ABLE, and on the Church of Scientology's official Study Technology website. This peculiar omission points to only one conclusion. Applied Scholastics is not serious about researching Study Tech's effectiveness. (And from its point of view, why should it be? Devotees of L. Ron Hubbard "know" as a matter of faith that his "technology" is flawless and produces perfect results. Scientologists have no more interest in proving Hubbard wrong than fundamentalist Christians have in proving theories of evolution.) The organization's use of statistics evidently is little more than window dressing, intended to impress the faithful and promte the program to the general public. Applied Scholastics constantly empathizes quantity rather than quality. For instance, its 1995 annual report boasts of a training program in Mexico for 1,200 teachers under whom "more than 30,000 students benefited from the application of this study technology in the classroom," and one in Zimbabwe where 7,500 children are being taught with "outstanding results." But it does not say exactly what these results were or provide objective data on them. This is very much a common outcome of Scientology management methods. Hubbard continually emphasized outputs rather than results, directing his organizations to get as many individuals through the system as possible but placing little importance on the qualitative outcomes of courses. Unfortunately for Applied Scholastics, some of its claimed statistics and studies have been exposed as questionable at best. This may be why Applied Scholastics provides so little detail of its claimed results. For instance, the Brixton study mentioned earlier turns out to be nearly 30 years old, conducted with a sample of 24 pupils (of whom only 12 actually undertook Study Tech) given just 8-10 hours of instruction over two weeks in June 1975. This tiny sample is statistically insignificant -- far too small to justify the inferences drawn from it. The students were given a 30-year-old version of Study Tech, taught in its original Scientology form rather than the "child-friendly" version presented today in the Basic Study Manual and related books. Yet Applied Scholastics still presents this flawed, antiquated set of results as being somehow representative of Study Tech as taught in 2003. It is no wonder that Applied Scholastics and its sister organizations have shied away from giving any further details of the study. [Applied Scholastics] cites St. Antoine, a public elementary school in Lafayette, Louisiana. It claims that after the school's three second-grade teachers were trained in the study technology techniques outlined in Applied Scholastics' Basic Study Manual, their students' California Achievement Test composite scores in reading, English and math rose from the 29th percentile to the 46th percentile. The report also claims that this was the first time St. Antoine "ever achieved a rating higher than the 30th percentile," which school principal Helen Magee says is false. Magee confirms the increase in overall scores, but says that just one of the second-grade teachers received the study technology training. The scores of the students in that class did go up 17 percent, while in the other two classes the scores went up 13 percent and 2 percent. Magee says she was initially enthusiastic about expanding the use of study technology, but when several other teachers at the school were later trained, the outcome was disappointing. "I did not see the same results," she says. "I think you have to have a certain kind of teacher to make it work." Both denied any knowledge of the Church's involvement in formal education in South Africa. There is certainly no shortage of purely subjective assessments of the Study Tech, in the form of "success stories" from people who have undergone or delivered the course. It is a striking illustration of Applied Scholastics' priorities that its web site provides far more success stories than hard data. But their prevalence is hardly surprising. In Applied Scholastics' sister organization Narconon, clients are required to write success stories on a standardized form at the end of each course, in order to "attest" to a successful completion. This is a standard feature of Scientology management practices. Hubbard stated that the key statistic for measuring the success of an organization is "PAID COMPLETIONS ACCOMPANIED BY AN ACCEPTABLE SUCCESS STORY" ("Org Condition Stat Change", LRH Executive Directive 153 Int of 30 August 1971). They are not simply a method of surveying customer satisfaction. If a Narconon client does not submit a success story, he or she is deemed not to have completed the course and may have to redo it, with possible adverse financial implications. This gives clients a motive for submitting as positive a success story as possible. It is not clear whether precisely the same arrangement is in place in Applied Scholastics, but given Scientology's penchant for standardization it would not be surprising. "Categorizes success stories into types of successes and results. Distributes and posts success stories and makes such available for use in ... promotion pieces and also for [recruitment] use. Sees that success stories are used. All these duties adds up to ensuring good word of month." This is exactly the way in which success stories are used by Applied Scholastics and its subordinate organizations. Its websites and much of its promotional material provide numerous glowing success stories, often described as an "explanation of our program from the only source that matters -- our students and their parents." This claim that subjective accounts are "the only source that matters" says much about Applied Scholastics' attitude towards objective evaluations. I did a course called "The Student Hat" which introduces you to L. Ron Hubbard's "study technology" and my IQ has gone from 130 to 140. The main success for me was when I got L. Ron Hubbard's study technology. I learned how to handle some study problems that I had. My I.Q. got better and I felt more able to achieve anything I want to. Applied Scholastics has made similar claims -- for instance, that "in New Zealand, students in a girls school showed an increase of twelve IQ points on the Otis Lennon Mental Ability Test after completing a course based on Mr. Hubbard's learning methods." No further details are provided and the claim is not corroborated in any way whatsoever. Many experts question whether adult IQ can be raised in the first place. Even if it can, there is no verifiable evidence that Scientology or Study Tech has raised anybody's intelligence. There are also major methodological concerns about the Hubbard-approved method of taking IQ tests, which relies on repeatedly taking the same test before and after courses to show the "improvement" that has been made. A simple memory effect -- learning the test - can artificially inflate the scores. Certainly, outside of Scientology nobody seems to take seriously Hubbard's claims that his methods could send IQ "skyrocketing." During the various controversies over Study Tech, educators have been canvassed for their opinions of Hubbard's work. The reviews have been mixed at best and often unfavorable. Scot Danforth, who oversees teacher education for the University of Missouri at St. Louis, said he searched a database of four decades of published educational research and could find no study on L. Ron Hubbard's instructional techniques. "In my opinion, they are involved in the worst kind of deception. They make grandiose claims about the effectiveness of their methods and materials ... with data that has never been published in a legitimate educational research journal," he said. "We don't know if the people who are providing training are qualified and if the teachers providing the tutoring are qualified," Jung said. "In many cases, lack of comprehension is not because of a misunderstood word," says Sidnie Myrick, who leads a UCLA research group on early literacy, teaches a master's course in reading at Cal State L.A., and also teaches a class of first, second and third graders at Thomas Edison Elementary School in Glendale (she was Glendale's 1993 Teacher of the Year). "In fact," she says, "in many cases the student won't get the meaning until the material is presented in a completely different way." Myrick also finds the books' illustrations "cutesy and condescending," the explanations "stilted and manufactured," and study technology, all in all, "woefully inadequate." "There isn't anything new. It's also sort of sketchy. What we know about teaching comprehension skills and study skills is a little more complex." Purcell-Gates says the program's emphasis on use of the dictionary "is probably not the most effective tool for learning word meanings, because dictionary definitions tend to be very decontextualized. Teachers wouldn't use that as a primary vehicle for teaching vocabulary." "This is all 'old stuff,' and has been taught in the schools for at least 30 years (probably more) now," the Harvard professor wrote in an assessment for the Herald. "Basically, there is nothing new in this text that is not known by reading/study specialists at a very basic level," she added. "The only thing really `different' is that Mr. Hubbard has renamed basic concepts to fit into his overall scheme of things." Many countries have strict rules governing the relationship between church and state. Most famously, the First Amendment to the United States Constitution prohibits the "establishment of religion" by state agencies. The precise details of what is permissible have been worked out over many years through a series of court cases. One of the most important was a 1947 case before the Supreme Court, Everson v. Board of Education, which involved publicly subsidized transportation for students attending private religious schools in New Jersey. The court's ruling established a set of crucially important principles, notably the rules subsequently referred to as the no-aid-to-religion rule and the sacred-secular doctrine. programs that would contribute "money to the schools" or would "support them" and those, such as the one that was being challenged in that case, "indisputably marked off from the religious function" of schools. [The court] held that bus transportation was clearly separable from the religious mission of the schools and similar to general public services such as police and fire protection and sewage disposal. Thus it could be supported by public funds. According to legal scholars, the fact that a law may have a "religious purpose or be motivated by religion does not mean it is unconstitutional as long as it also has a bona fide secular or civic purpose" (Lynn, Stern & Thomas, p. 3). Similarly, "a law that has a remote or incidental effect of advancing religion is not unconstitutional as long as the effect is not a 'primary' effect" (ibid. p. 3). Finally, the Court permitted some entanglement between church and state, as long as this entanglement is not "excessive" (ibid. p. 3). The latter point has proved particularly significant. Religious organizations can, and do, engage in secular as well as religious activities. But this raises the issue of whether it is always possible to separate the religious from the secular for the purpose of public funding. For instance, if a religious organization engaged in secular welfare activity without proselytizing its clients (or otherwise discriminating on the basis of religion) that would probably pass constitutional muster. On the other hand, if a publicly funded school was to teach religious doctrine in classes, that would certainly be ruled unconstitutional. In the former case, one can receive publicly funded services without being exposed to religious messages. In the latter case of a "pervasively sectarian" environment, those messages are an integral part of what is being taught and exposure cannot be avoided. It is for precisely this reason that the issue of creationism in public schools has provoked so much legal controversy. It is an issue with considerable parallels to that of Study Tech in public schools. The doctrine of a Supreme Being creating the world is very obviously a religious one, and specifically a Judeo-Christian one. Christian fundamentalists have made strenuous efforts over the years to prevent evolution from being taught in public schools, or at least to mandate "equal time" for the teaching of evolution and creationism. Their attempts have foundered on the principles set out in Everson and Lemon, forcing them to use increasingly obscurantist tactics. After overt creationism was rooted out of schools, so-called "scientific creationism" was adopted in a number of states until ruled unconstitutional by the Supreme Court in 1987 in McLean v. Arkansas Board of Education. Since then, creationists have swung behind the equally unscientific but less overtly religious doctrine of "intelligent design." They have so far failed to introduce it into public schools but will probably succeed at some point -- whereupon opponents of religious instruction in the schools will take it to the courts and very likely have it too ruled unconstitutional. Study Tech's course materials are taken directly from Scientology scriptures, often word-for-word. Religious materials do not cease to be religious simply by virtue of being given a different cover. L. Ron Hubbard himself declared Study Tech to be "part of the Tech of Scientology." Study Tech can therefore accurately be described as being "pervasively sectarian." The provision of Study Tech is not "indisputably marked off from the religious function" of the Church of Scientology. Study Tech is an integral part of Scientology doctrine. It is taught in all Scientology Churches, and is compulsory for all Scientologists. No distinction is made in Scientology between Study Tech and any other part of Scientology doctrine, and Scientology policy makes no mention of Study Tech being secular (quite the opposite, in fact). Study Tech cannot be described as being unrelated to "the religious mission of religious organizations." This, together with the previous concern, would very likely count as "excessive entanglement" between the state and religion. Scientology plainly sees Study Tech as a principal weapon in its doctrinally-inspired goal of eliminating psychiatry and psychology from public schools. This does not by itself make Study Tech unconstitutional, as the Lemon test permits a religious purpose as long as it is accompanied by "a bona fide secular or civic purpose." However, the Supreme Court's ruling in McLean looked closely at the motives of the supporters of scientific creationism, finding that they were heavily influenced by purely sectarian concerns. If the issue of Study Tech were ever to go before the courts, it is likely that Scientology's sectarian hatred of psychiatry would be a major issue and would count against Study Tech. Similar concerns were raised within the Los Angeles Unified School District. Board member David Tokofsky told the Los Angeles Times (Helfand, 1997): "We cannot turn our public school students and monies into a religious institution. It's a problem on a fundamental constitutional level." Those who support Study Tech undoubtedly believe in its effectiveness. Then again, as Study Tech's supporters are overwhelmingly Scientologists, they also believe many things that the general populace would find hard to accept as everyday reality: recall of past lives, possession of super powers, and at the advanced levels, telepathic contact with space alien spirits. No proof is ever offered for the existence of these things. That poses no problems for Scientologists, as proof is never requested. For Hubbard's followers, it is an article of faith that whatever Ron says must be correct, even if its correctness is not evident to anyone else. The effectiveness of what Scientologists call "the tech", of which Study Tech is a part, is a matter of religious doctrine. It HAS to work. But Study Tech is no more a secular learning methodology than wine and communion wafers are a Sunday morning snack. Its ambitions may be entirely conventional, but its vocabulary and practices are part of a religious doctrine closely tied to Scientology beliefs. The end product of Study Tech is an individual who has been taught to "duplicate" uncritically any proposition, no matter how dubious. It deprecates critical analysis and genuine understanding in favour of a mindless acceptance of the author as an unassailable authority figure. It reflects L. Ron Hubbard's profoundly authoritarian desire to be seen as the "Source" of all Scientology wisdom and it serves his aim of encouraging unquestioning acceptance of his authority. The real danger of Study Tech is that it was designed for indoctrination, not education. While it may be good at producing obedient Scientologists, it is completely at odds with promoting the ability to think independently. It quite deliberately aims to reduce a student's ability to think critically. Students are taught to distrust their own intelligence and background knowledge, passively and uncritically accepting whatever they are being told. This can only deprive students of a skill vital in an age saturated with conflicting messages, where critical thinking is essential to making sense of the world. Study Tech's doctrinaire and authoritarian approach to teaching is hostile to, and deserves no place in, secular educational institutions. Association for Better Living & Education - Solutions magazine issue #5 (1997). Catania, Sara (1997) Can L. Ron Hubbard's "study technology" make kids smarter? International Association of Scientologists - Impact magazine issue #104 (2002), #10 (1987). Walsh, Mark (1997a) Texts highlight Scientology's role in education. Walsh, Mark (1997b) Hubbard's Education Theories Focus on 'Barriers to Learning'.